ES Systems has developed a series of medium isolated pressure transmitters suitable for applications with harsh environmental conditions where resistance to corrosive fluids or gases is required. Each sensor integrates a MEMS capacitive pressure sensor die, and a CMOS ASIC for the signal conditioning. The MEMS pressure sensor dies are underpinned by ES&apos;s innovative microfabrication process for silicon capacitive sensors. 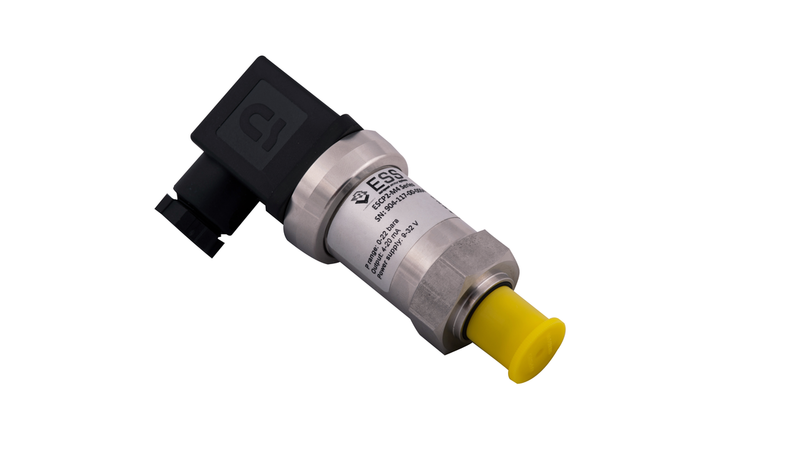 The ESCP-MIT1 Series of capacitive pressure sensor dies integrated into the medium isolated pressure systems provide state-of-the-art accuracy and resolution, excellent long-term stability combined with very good repeatability and hysteresis. The total overall error including thermal offsets is lower than ±0.25% FS. The ESCP-MIT1 Series is a family of heavy-duty pressure transmitters made from stainless steel 316L. Each transmitter consists of an ESCP-MIS1 Series sensor, which is O-ring fitted to the housing. The pressure transmitters come in various standard pneumatic ports as well as custom ones upon request. The electrical interface can be either analog (4-20 mA, 0-10 V) or digital (I2C). The sensors can be provided calibrated and compensated at various temperature and pressure ranges from 1 bar to 400 bar. Custom configurations of a variety of pneumatic interfaces, Hastelloy or Titanium material, and output interface are available upon request.